SIG MPX, MPX-C and MPX-K Multi-Caliber Submachine Gun (SMG)/Semi-Auto-Only Carbine/SBR Personal Defense Weapon (PDW) Packages with Silencer/Sound Suppressor, Lancer Systems Translucent Polymer Magazine and SIGTAC Reflex Sight/Combat Optic (Video!) | DefenseReview.com (DR): An online tactical technology and military defense technology magazine with particular focus on the latest and greatest tactical firearms news (tactical gun news), tactical gear news and tactical shooting news. All photos and the first/top video contained in this article were shot by DefenseReview.com, and are copyrighted. DefenseReview.com owns the copyright on all photos and first/top video. The photos and first/top video were shot with a Sony Cyber-shot RX100 (DSC-RX100/B) Digital Camera with 20.2 MP (20.2-megapixel) still camera and 1080p HD video camera capability. 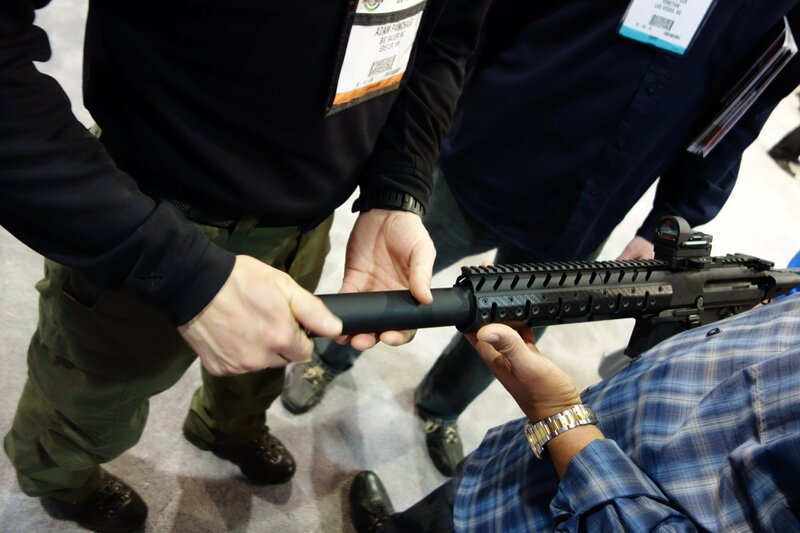 SIG Sauer introduced one badass little PDW (Personal Defense Weapon)-type select-fire subgun/semi-auto-only carbine/SBR (Short Barreled Rifle) at SHOT Show 2013. 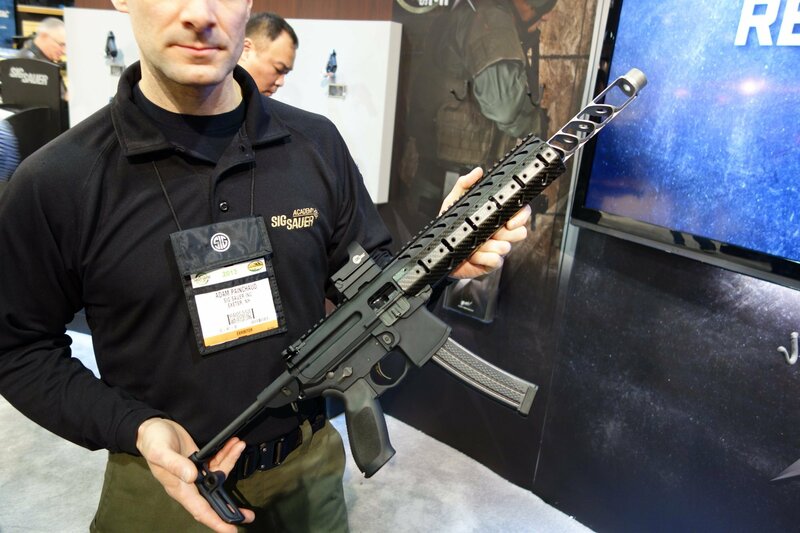 It’s called the SIG MPX, and it’s one of the more interesting new tactical weapons that DefenseReview (DR) saw at the show. The MPX is a multi-caliber (9mm Parabellum/.40 S&W/.357 SIG) select-fire sumbachine gun (SMG)/semi-auto-only carbine/SBR (Short Barreled Rifle)-type that we would also put in the personal defense weapon (PDW) category. Since we don’t want to bury the lead, we’ll cut right to the chase: If the MPX’s peformance measure’s up to both the company’s claims and its looks, DefenseReview (DR) believes the select-fire version has the potential to supplant the Heckler & Koch HK MP5/MP40 submachine gun (SMG) for law enforcement SWAT and military Special Operations applications and thereby become the preeminent SMG. And, the semi-auto-only versions should become quite popular with civilian tactical shooters. Handling the SIG MPX was immediately (totally) familiar and pleasurable with superlative ergonomics/usernomics, since the weapon’s lower is identical control-wise to an AR-15 lower with ambi controls (ambidextrous) controls and a flared magwell for fast mag changes–but the upper receiver is proprietary and all SIG. The MPX is a short-stroke gas piston/op-rod (push-type operating rod) weapon that fires from the closed bolt position and utilizes a rotating bolt. Company literature states that the SIG MPX exhibits “unequalled reliability in the field, even under the most adverse conditions”, but its gas-operated aspect should also minimize felt recoil, which can be especially advantageous during full-auto firing. The end-user will have the choice of either a telescoping/retractable or sidefolding stock (buttstock), by the way. And that’s not all, Monty. Apparently, the SIG MPX’s barrel can be swapped out at the operator level, and it would appear that various barrel lengths will be available. 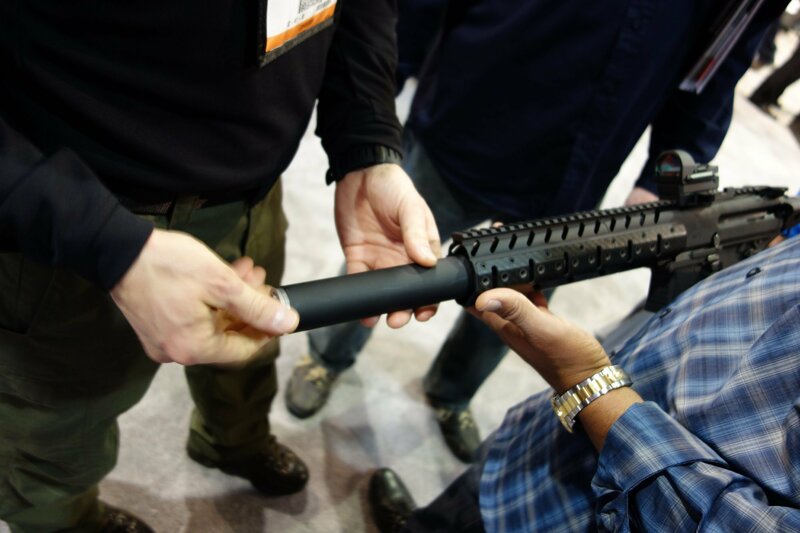 Current barrel length for the Mil/LE select-fire/SBR version is listed at 6.5 inches (6.5″), which is a bit short. 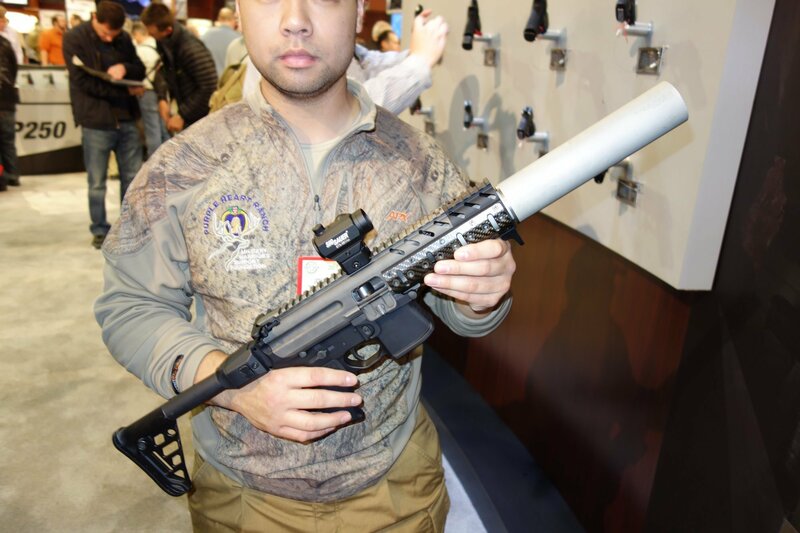 The civilian-legal version will obiously have to have a 16-inch (16″) barrel that provide for significantly enhanced muzzle velocity and penetration capability against hard targets. The MPX that SIG Sauer Academy instructor Adam Painchaud showed Defense Review was actually the SIG MPX-C model outfitted with a muzzle brake that can be converted into nifty muzzle can (silencer/sound suppressor) once the suppressor housing/tube and end cap are added and screwed into place. 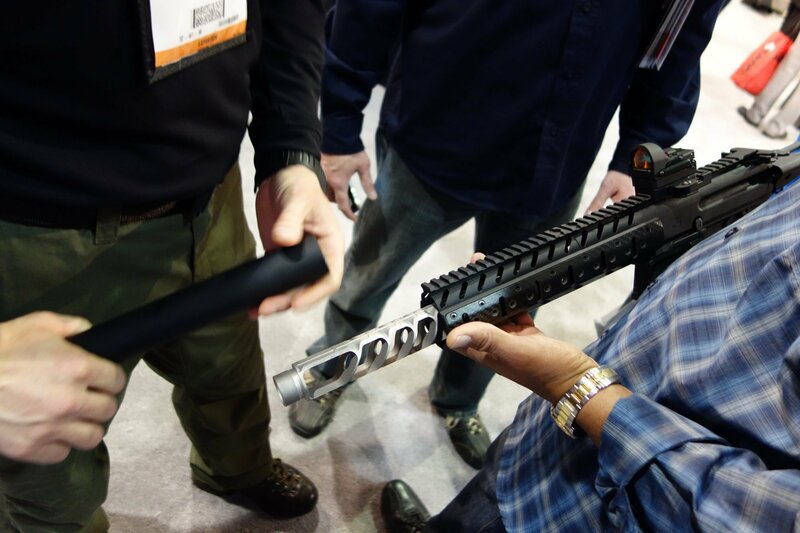 The weapon also appeared to have a nice-looking carbon fiber modular rail system/forend rail tube on it. 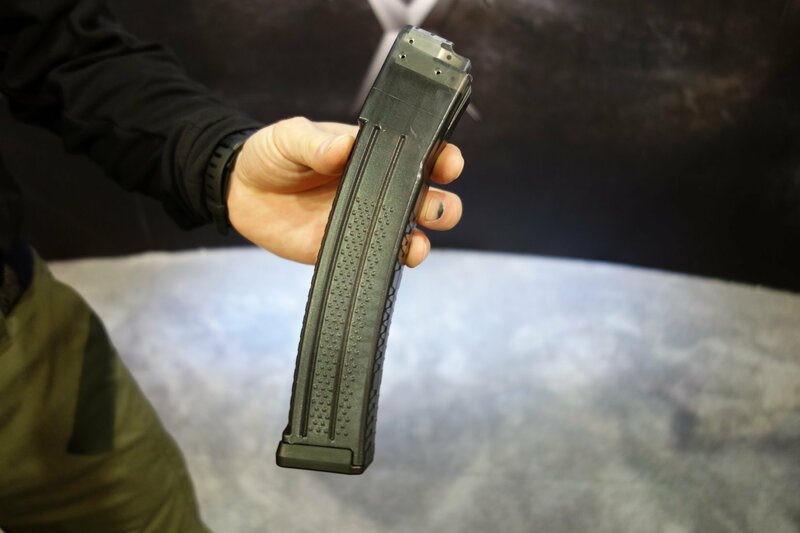 Carbon fiber appears to be an increasingly popular material for tactical weapons’ rail systems, due to its light weight and high strength-to-weight ratio. 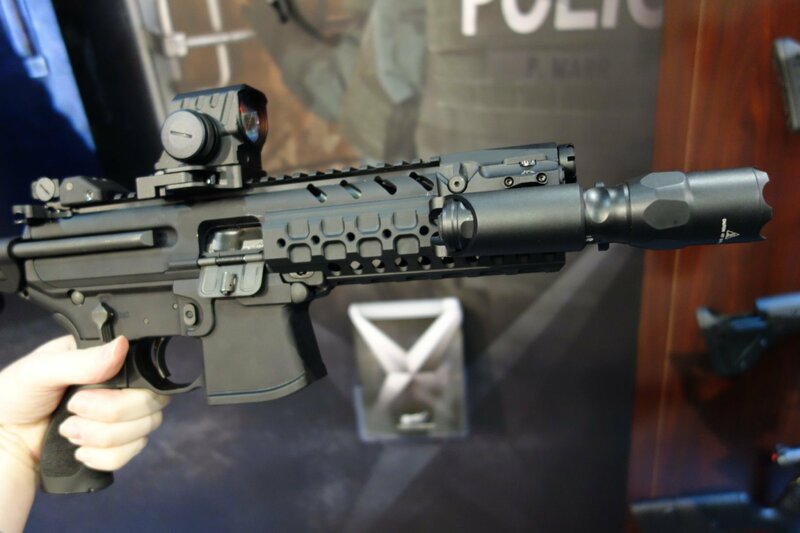 SIG Sauer is also making a SIG MPX-K model with 4.5″ barrel if you have to go really short, presumably for clandestine use and undercover operations. While Mr. Painchaud was conducting his MPX demo for us, DR noticed that SIG Sauer had chosen the SIG MPX SMG/SBR’s magazine very well, a Lancer Systems translucent polymer mag (30 rounds). The Lancer L5 Advanced Warfighter Magazine (L5 AWM) translucent polymer mag is currently our favorite 5.56x45mm NATO/.223 Rem. mag, hands down. DR also noticed the prototype SIGTAC red dot reflex sight, which appears to be the equivalent to an Insight MRDS Red Dot Sight, Leupold DeltaPoint Reflex Sight, Trijicon RMR Sight, or Burris FastFire II Red Dot Reflex Sight. We’d really like to get one of these SIGTAC reflex sights in-house for T&E. 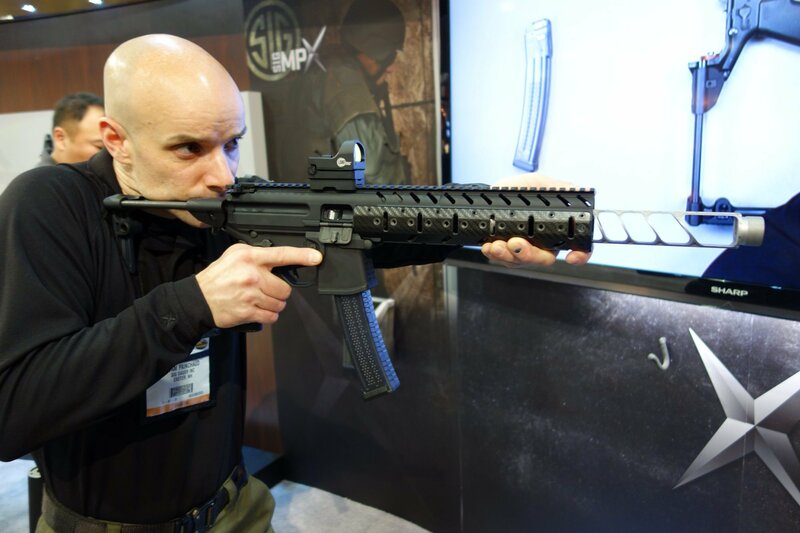 “THE NEXT GENERATION OF SUBMACHINE GUN IS HERE Introducing the SIG MPX, a machine pistol that redefines the category. The SIG MPX is the world’s first submachine gun that operates with a fully closed and locked rotating bolt system, greatly enhancing operator safety. The SIG MPX employs the SIG SAUER® battle-proven gas-operated short stroke piston system for unequalled reliability in the field, even under the most adverse conditions. 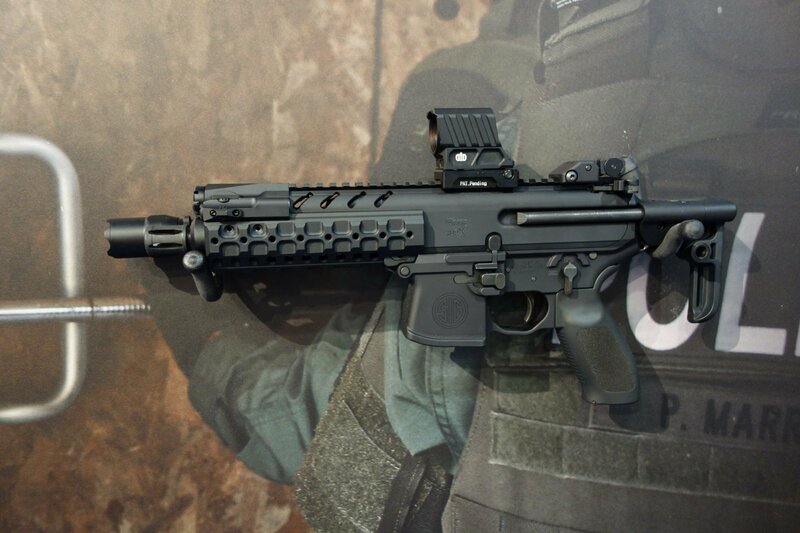 The SIG MPX is the only submachine gun that allows the operator to change barrel length, caliber and stock configuration in the field to meet mission requirements. Submachine Guns (SMG’s): Outpaced by Today’s Modern Short-Barreled Rifles (SBR’s)/Sub-Carbines, or Still a Viable Tool for Close Quarters Battle/Close Quarters Combat (CQB/CQC)?